taps into a different part of my brain than silver clay. I don’t know if it’s because it’s so much less expensive to work with, or less familiar, or less predictable when it comes to firing. 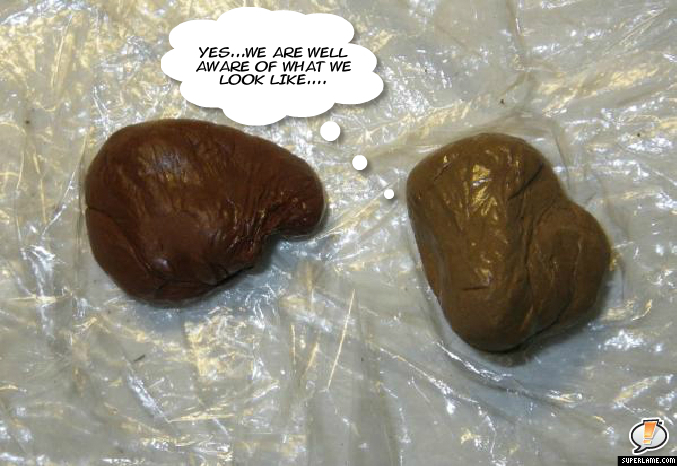 Whatever it is, when I get out the bronze clay and the copper clay, I just sit there and go, “Huh? What was I going to do?” It’s as if I never had an idea in my life. 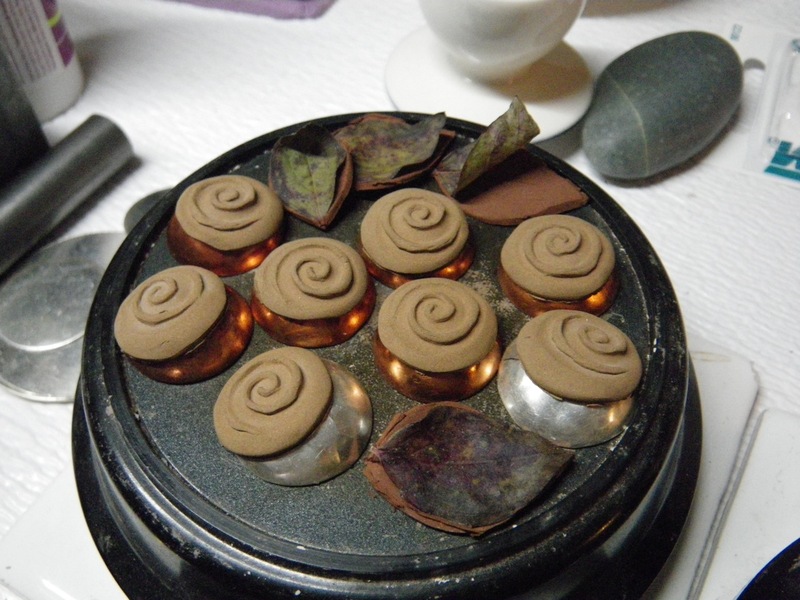 I don’t even look for my sketch book, because I don’t remember sketching any ideas for these base metal clays, though I know I have. Today, with a load of silver beads happily sintering away at 1650° for two hours, I got out my copper and bronze powders from Hadar Jacobson and mixed up some base metal clays. 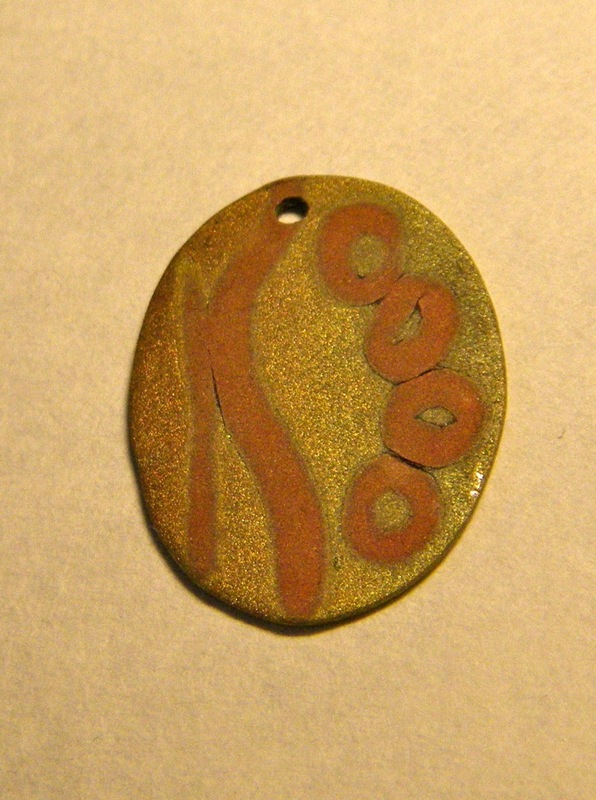 I like the look of embedding copper pieces into the bronze. 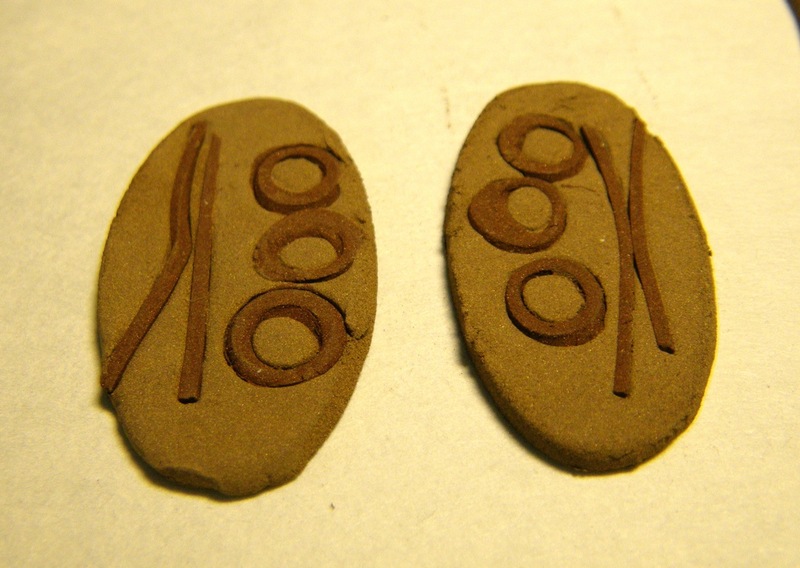 Below is a lone earring component from a previous session with bronze and copper clay. (I think the matching piece didn’t sinter properly.) I hammered this piece a bit to see what would happen. It withstood the pounding, so I know it sintered properly. I decided to work more with this idea. 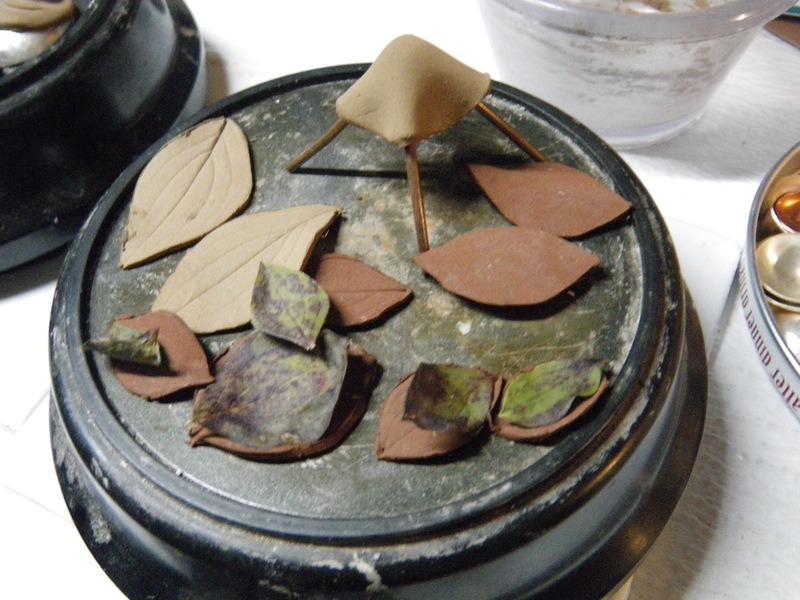 Similar pieces, after drying and sanding. I’m pretty sure I sanded the piece on the right a little too aggressively. The middle circle looks blurry, probably because it was almost sanded away. 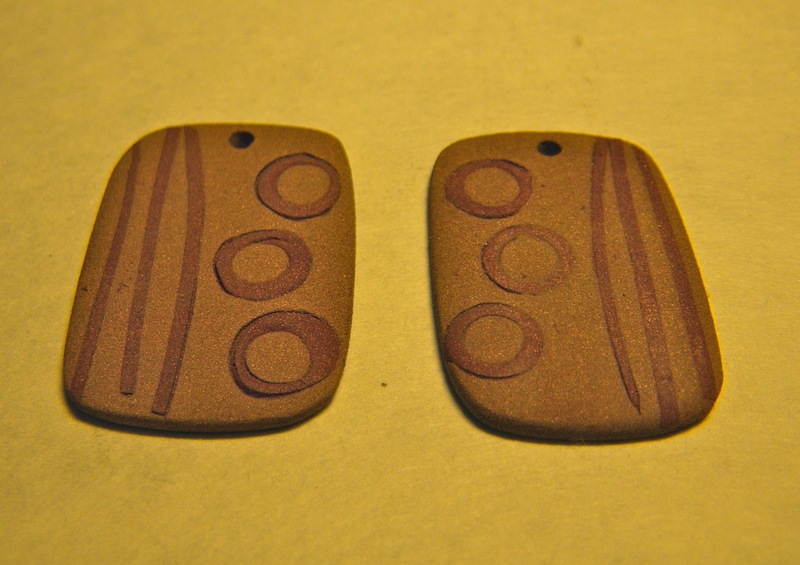 The embedded copper was 3 cards thick, and the bronze clay was 6 cards thick. 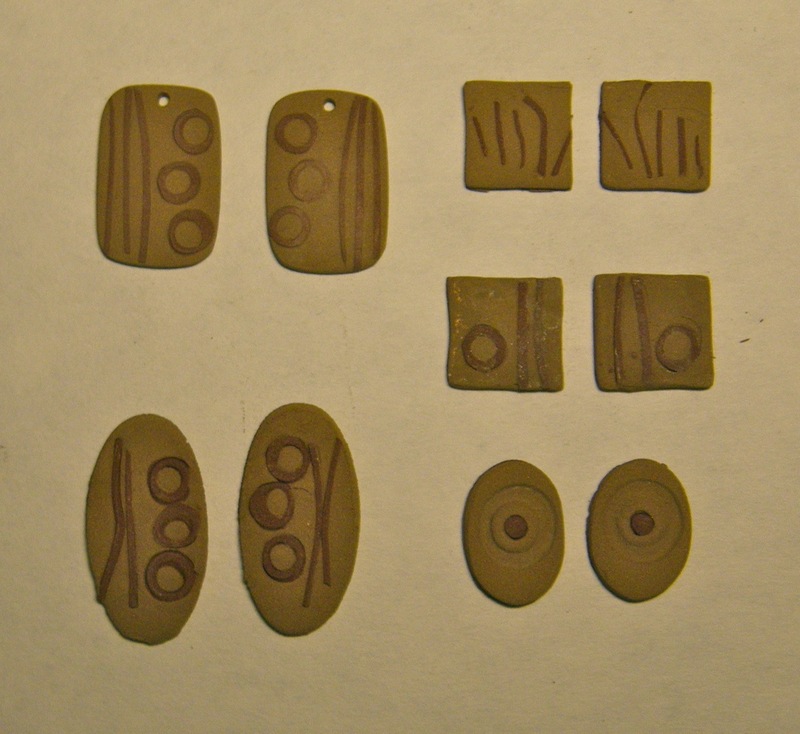 and a start on some lentil beads and leaf components.